Posted in: basic. Tags: polar. I thought I was close with two graphs and the equations r=sin 5theta and r= -sin 5 theta but I am still a little off. Amanda’s looks good! 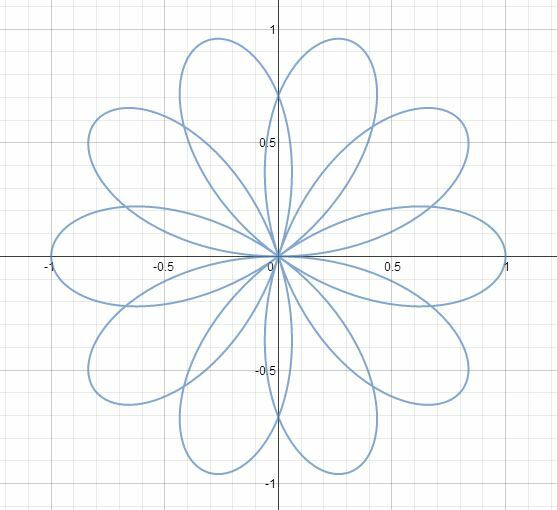 I had used cosine, but it is the same graph. This graph was very interesting to me. It took me quite a bit to get the right graph. I ended up with r=sin(2.5theta) as my answer!